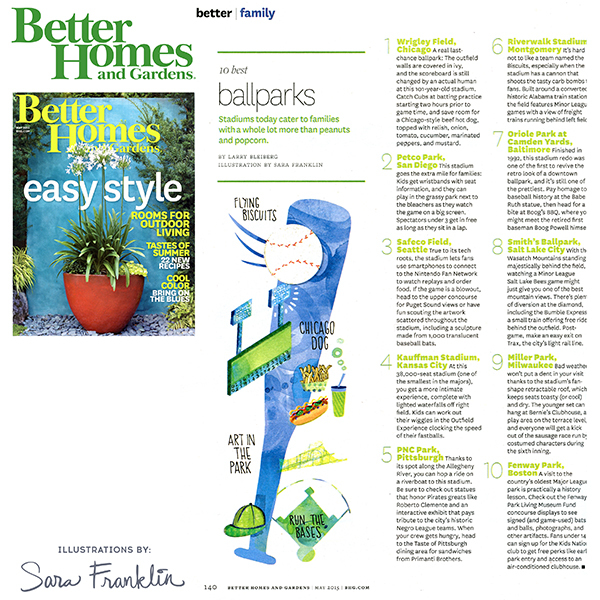 My latest illustration for Better Homes & Gardens is out in the May issue! If you love baseball, you'll definitely want to check this one out. I really enjoyed working on this! !